If you want a healthier life there are several small steps you can take that will add up to a big difference. Making meaningful changes to improve health and fitness outcomes isn’t about buying fancy equipment or making huge promises. It is about setting yourself up for success by caring for your body a little bit better every day. It also helps to set up a system of accountability and celebrate every step of your self-care journey. Use this to do list to get started now. Hydrate – The human body is comprised of mostly water. This essential fluid helps us digest food and remove waste from our bodies. In fact, every bodily process needs adequate water for optimal performance. Dehydration can lead to reduced muscle strength, foggy thinking and sluggishness. You may even find that you have a headache or want to eat even though you aren’t really hungry. Although recent studies have disproven the eight glasses a day requirement it is still important to hydrate regularly. Start now – Check in with yourself and notice if you are thirsty. If so, drink some water now. If not, fill a bottle or cup to have on hand and sip throughout the day. Notice how you feel when you are hydrated. 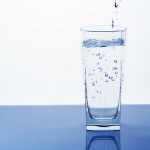 Other sources of water, such as those you get from foods also count toward your water intake. If it is easier, keep fruit on hand and include salads in your daily menu. Workout – Regular physical activity helps you manage your weight and reduce your risk of chronic illness. Other benefits include more energy, better mood, less anxiety, depression and insomnia. Even if you have never exercised a day in your life, you can start now and begin reaping some of these benefits. Everyone can benefit from a good workout regardless of the current level of fitness. Start with chair exercises or break your routine into three 10 minute sessions. Do what it takes to get started. Start now – Stand up and walk for three minutes. If you are at work you can walk to your car or take the stairs a few flights up. If you are at home, walk outside for a bit or dance around the room. Involve the kids or the dog if you have one. Pay attention to your breathing and how your body feels with the movement. When you come back make a plan-here is an example: beginning tomorrow I will exercise for at least 30 minutes, three times each week. Pull out your calendar so you can schedule the time and keep your clothes handy to make getting started easier. Sleep – Most Americans do not get enough sleep each night. Over time inadequate sleep can lead to high blood pressure, weight gain, irritability and reduced immune function. Adults should aim for 7 to 8 hours sleep each evening. A good night’s sleep can improve memory, mood, athletic performance and cognitive functioning. Start now – Be sure your room is set up for sleep. Check the temperature (the room should not be too hot or cold), sources of light (cover digital clocks and other electronic devices, invest in room darkening shades). What time do you need to be up tomorrow? Turn off all electronic devices at least nine hours before that time. Take the hour before bedtime to relax and wind down. Finally, resolve to get into bed eight hours before you need to be up. Get a coach/support – Cheerleaders aren’t just for sports teams, we can all use at least one. Having an ally in your healthy life plan can be immensely encouraging. A coach or accountability partner can help you identify and achieve meaningful goals and navigate inevitable obstacles. Share your motivations with your coach. Share your worries and disappointments, too. Keeping the lines of communication open will make it easier for your coach to support you in a way that best meets your needs. Contact your local fitness center for information about available coaching and training. Think of two or three people who are emotionally healthy enough to support you in a coaching relationship. Share your workout plan with at least one of them, including how you would like to be supported (workout with me, check in after workout by email or phone, etc.) and ask him or her to be on your accountability team for at least six months. Use social media to share weekly success and ask for support from friends and followers. Celebrate success – You don’t have to wait until you cross the finish line to celebrate your success. Give yourself some kudos for getting started and crossing off each milestone along the way. Setting and meeting incremental goals boosts your motivation and feelings of accomplishment. Have you lost a pound or met your goal of exercising three times a week for one month? Good for you! Give yourself a pat on the back. Share your accomplishment so others can celebrate your hard work, too. Start now – How many of the start now strategies can you cross of your list today? Try for as many as you can and celebrate your start toward a healthier lifestyle.